Home Hinduism What does Om (ॐ) signify? According to Vedas, god is formless ( nirguna ) and it cannot be defined as a form. Therefore ‘Om’ was specified in Vedas as symbol or representation of that formless God. Many places in Vedas, it mentioned that one should meditate or worship that formless god as ‘Om’. When one perform the sacrifice the ‘Om’ represent the formless God, whom one refer as main deity. OM is a word, that is Udgith, one should meditate on it. 4. “The Pranava ( Om) is the bow: one’s self is the arrow. Brahman is spoken of as the target of that. It is to be hit without making a mistake. Thus one becomes united with it [Brahman] as the arrow becomes one with the target” (Mundaka Upanishad 2.2.4). 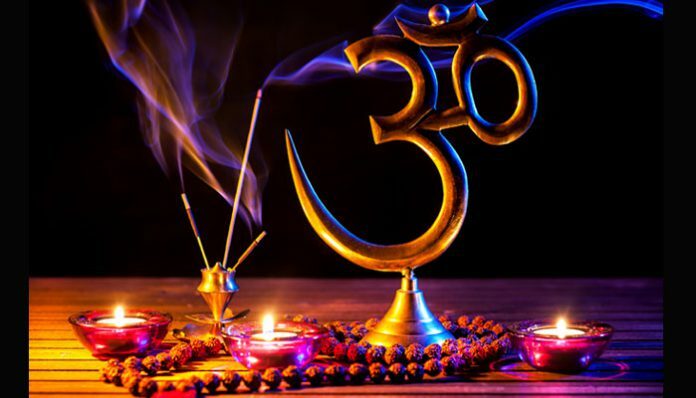 Previous articleWhat are the various school of thoughts in Hinduism ? Next articleWhat is the relation between Brahma & Saraswati? 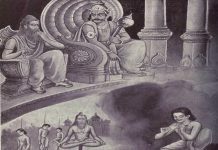 How is Brahma the father of Saraswati? 7 Mandukyopanisad Mantra 1: The syllable Om is all this. All this belonging to the past, to the present, to the future is Onkara only. And anything else which is beyond the three periods of time is also Onkara only. 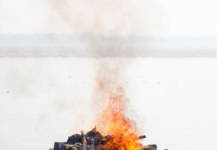 Mantra 8: the same Atma is Onkara. From the standpoint of the total – akara leads to virat, ukara to hyranyagarbha, makara to antaryamy, the forth is amatra, silence, where is no travel. From the standpoint of the individual / Jiva the quaters of atma chattuspad – are equated: akara to the waker and the jagat, ukara to the dreamer and dreamworld, makara to the deep sleeper and the unmanifest. Amatra, the silence is equated to the seemingly forth – turiya atma.